Nelson Ireson April 22, 2013 Comment Now! 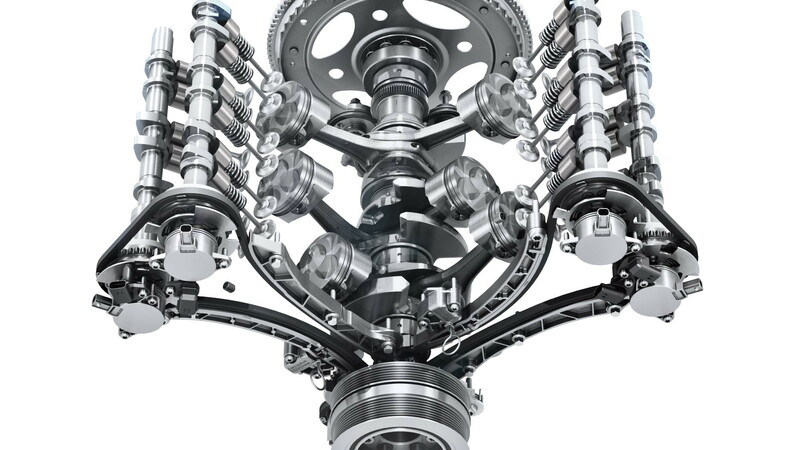 As we continue our ongoing month of coverage of Jaguar's return to the sports car world with the 2014 F-Type, we now take you into a more in-depth look at the car's mechanical and other aspects. Today, we begin with the V-6 engines in the base F-Type and F-Type S.
Displacing 3.0 liters, the aluminum V-6 engine in the F-Type is very similar to the one offered in the new XJ and XF sedans as well as the 2014 Land Rover Range Rover Sport--right down to the 340 horsepower rating. Developed from the 5.0-liter V-8 also used by both Jaguar and Land Rover, the V-6 engines, thankfully, don't feel like truck engines--despite delivering 332 pound-feet of torque in base form. 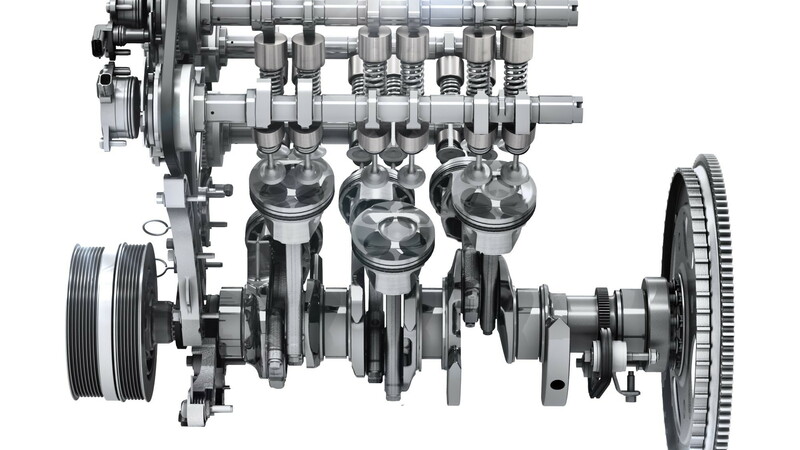 A 10.5:1 compression ratio is enhanced by a Roots-type twin-vortex supercharger mounted in the V of the engine, between the cylinder banks. Jaguar says it chose the supercharger over a turbocharger for increased response and reduced pumping losses. An 84.5 mm bore and 89 mm stroke make the engine slightly undersquare. 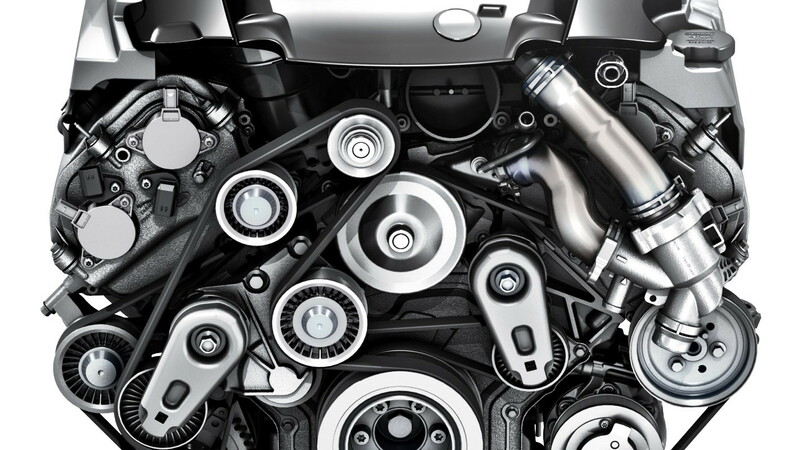 The AJ126 engine, as it's called internally, gets 1.75 bar (25.4 psi) maximum boost pressure in base F-Type trim, and 1.9 bar (27.6 psi) in F-Type S form. Jaguar's estimated gas mileage for the F-Type is 20 mpg city and 28 mpg highway; the F-Type S scores 19/27 mpg. An air-to-water intercooler helps keep intake charge temperatures low even with extended hard driving. Bosch engine management controls the show, including the supercharger's boost, to improve efficiency. Automatic stop-start is also standard on the F-Type. When active, the stop-start system shuts down the engine as soon as the car comes to a stop and the driver's foot remains on the brake pedal. The engine then automatically restarts when the brake pedal is released--Jaguar says it does so quicker than the driver can move their foot to the accelerator. Should you change your mind about the stop (or the start), a twin-solenoid system in the stop-start system allows the engine to spin back up even while it's turning off, providing seamless power--while still saving up to 5 percent in fuel and emissions the rest of the time. 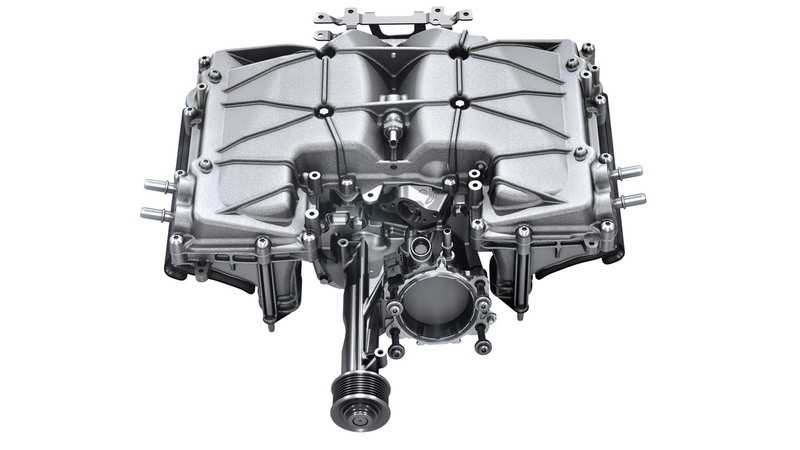 Other features of the V-6 include four valves per cylinder, the cylinder heads and valves also constructed of aluminum--recycled aluminum in the case of the heads. 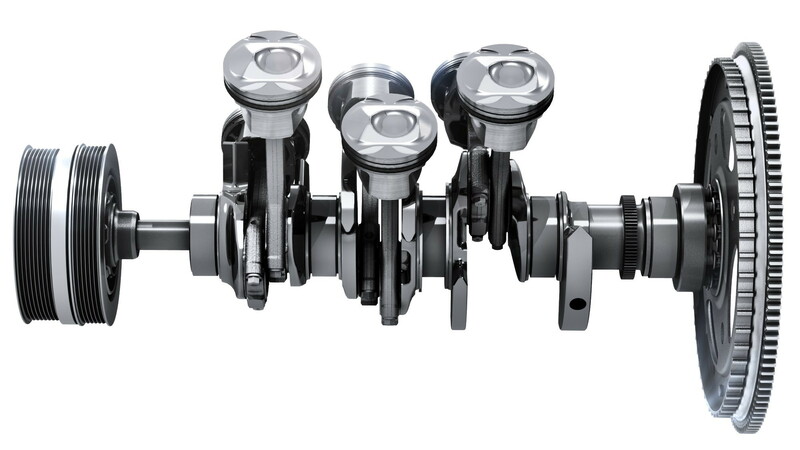 Dual independent variable cam timing helps to optimize airflow across a range of engine loads and uses, maximizing power and efficiency. Spray-guided direct-injection fueling sends gasoline into the cylinder at pressures of up to 150 times atmospheric (2,175 psi), which is then ignited by spark plugs indexed and oriented to a precise position within the combustion chamber. In the F-Type S, power output is raised by 40 to 380 horsepower, while torque rises to 339 pound-feet. In this state of tune, the engine generates the highest specific output of any Jaguar engine at 127 horsepower per liter. For the F-Type and F-Type S, this V-6 engine yields performance in similar increments: Jaguar claims the base F-Type hits 60 mph in 5.1 seconds and accelerates from 50-75 mph in 3.3 seconds; the F-Type S hits 60 in 4.8 seconds and moves from 50-75 mph in 3.1. Top speed rises from 161 mph in the F-Type to 171 mph in the F-Type S.
To easily spot the V-6-powered F-Types on the road, all you have to do is look at the tail pipes: if there are two tucked in the center, it's either the F-Type or F-Type S; if there are four, two on each side, it's the F-Type V8 S.
If you've missed anything so far, you can catch all of our 30 Days of the 2014 Jaguar F-Type coverage here. Be sure to read our F-Type first drive (and watch the video!) if you haven't already, too. In our next segments we'll be taking a closer look at the V-8 engine, the eight-speed Quickshift automatic transmission, and other oily bits of the 2014 F-Type.